Just an excellent recipe !! Combine flour, salt and baking powder in the bowl of mixer. Mix dry ingredients until well combined. Add oil and water with mixer running at a medium speed. Mix for 1 minute, stopping occasionally to scrape the sides of the bowl. After about 1 minute, or when mixture comes together and begins to form a ball, decrease mixing speed to low. Continue to mix for 1 minute or until dough is smooth. When pan is very hot, place one dough circle into pan and allow to cook about 1 minute or until bottom surface is lightly browned in places and starting to bubble a bit. If tortilla is browning too fast, reduced heat a bit. 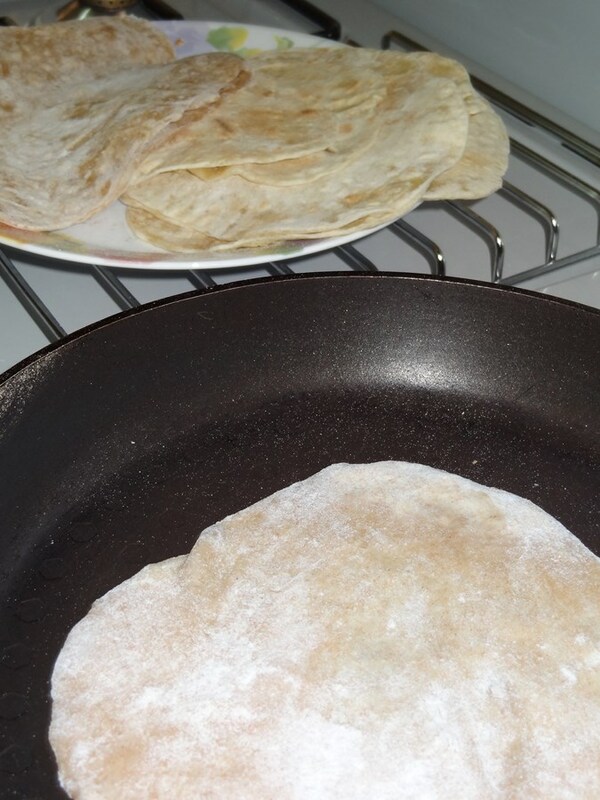 If it’s taking longer than a minute to see golden brown spots on underside of tortillas, increase heat a bit. Flip to other side and cook for about 30 seconds. You want the tortilla to be soft but have small golden brown spots on surface. Remove from pan with tongs and stack on a plate till all tortillas are cooked. Allow to cool completely if not using right away, When cool, tortillas can be placed in a large zippered bag or plastic container. They will keep well at at room temperature for 24 hours or can be frozen indefinitely. I have made this recipe 3 times now and I am so pleased! 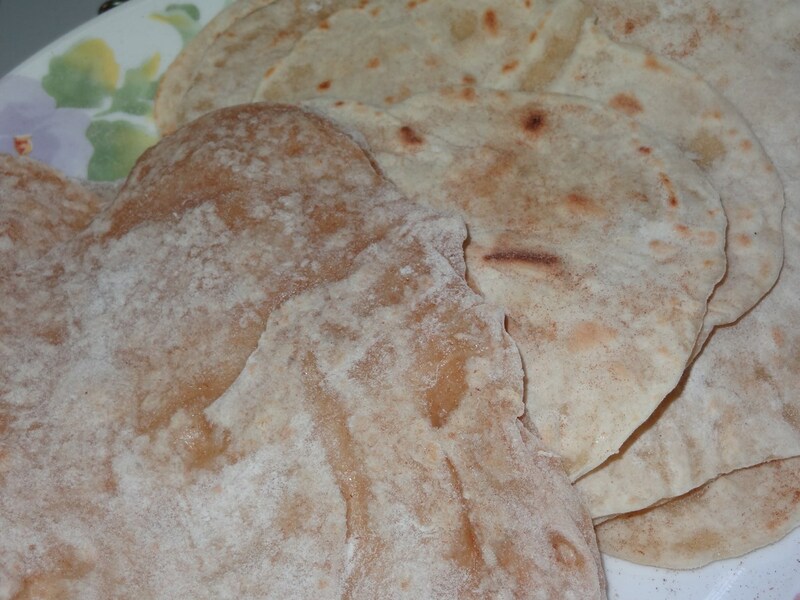 I have wanted to make homemade tortillas for years! Thanks for a great recipe Lucia!